Custom printed and embroidered name brand apparel items. Click on the image to view our online catalog. Give us a call and let us help you choose items for your next event. 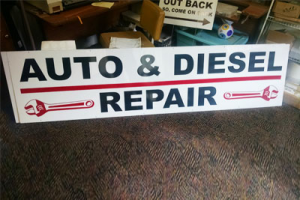 We have in house equipment and friendly staff to help you create a variety of signs and banners to help promote your company. Need help in the art department? Look no further. Anderon’s has trained staff ready and waiting to help you bring your ideas to print. A lot of times, those who enlist the help of Anderson’s Silk Screening know that they want something, but aren’t exactly sure what that might be. Luckily, we employ an in-house art department full of talented graphic designers and artists who are eager to help. Our team will work with you to create graphic artwork that can be used on any apparel, signs, banners or other promotional products you wish to order from us. Regardless of how big or small your project may be, we will work diligently to come up with an innovative design that captures significant attention. At Anderson’s Silk Screening, we want to collaborate with you to come up with the best possible ideas for the products you’ve chosen. 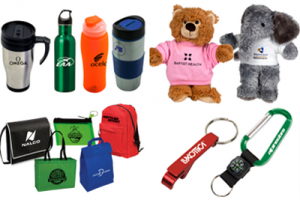 Whether you are investing in custom apparel that will be given out to employees, promotional products that will be handed out to potential clients or banners that will be hung at upcoming trade shows, we want to make sure the graphics we create accurately reflect your business and promote growth. If you have been thinking about utilizing Anderson’s Silk Screening’s custom silk screening services, now is a great time to reach out to us. From the initial graphic design stage where options and ideas will be conceived, all the way through to fruition, our graphic artists will work with you directly and make sure you are satisfied with what we produce. With more than 30 years of experience, we are confident in our ability to deliver quality products at a great price to those located both locally in Newaygo, Michigan and across the United States. Trust our in-house art department to design the graphic artwork for your business today. We even offer discounts for non-profit organizations upon request. Just ask us for more information when you give Anderson’s Silk Screening a call at 231-652-5717.